American Safari Cruises is offering one complimentary hotel night in San José del Cabo, Mexico, on new bookings on Sea of Cortés cruises departing until April 14. The 22-guest Safari Quest sails weeklong cruises from La Paz, Mexico. The offer is good only for guests flying into Cabo. The package includes transfers between airport, hotel and the yacht in La Paz, plus one complimentary night either pre- or post-cruise at the European-style Casa Natalia. Breakfast is included at the hotel. Transfer between Cabo and La Paz is via private shuttle. The package is valued at up to $900 per couple. 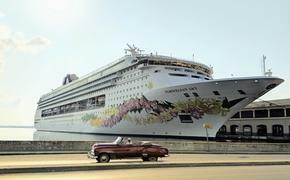 Cruise fares start at $3,995 per person, double occupancy.